Magical pictures you can colour again and again! 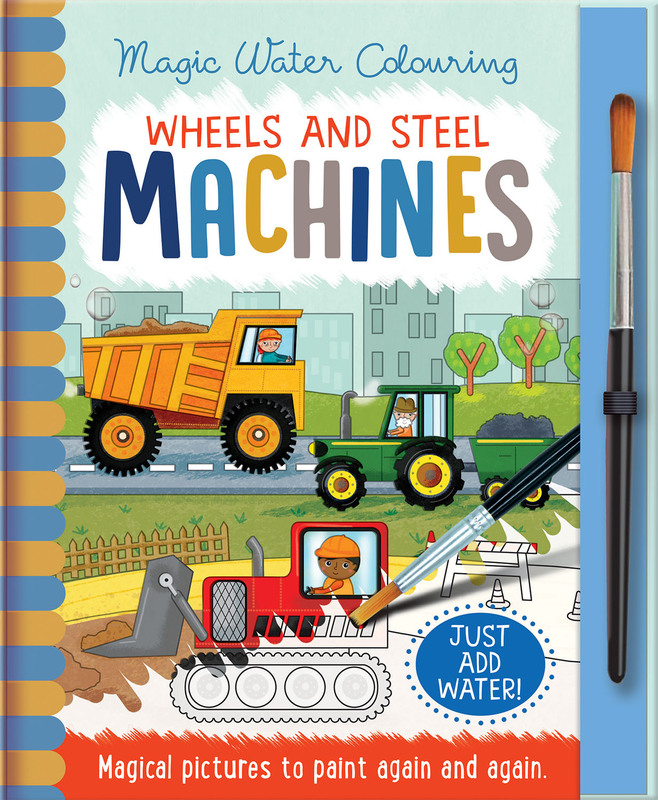 Create colourful machine and vehicle pictures with Magic Water Colouring. Simply paint with water, leave to dry, then paint your pictures again! This book includes lots of Magic Water Colouring pictures to paint with water, fun facts and more pictures to colour with pencils or crayons. You can use the blank pages at the back to create more pictures too. Simply paint with water, leave to dry, then paint again! 16 smart colouring pictures to paint. Rachael is an illustrator living in a lovely coastal town in Australia. Her designs can be found worldwide on pretty products, wall art, greetings cards and books. Rachael's playful and fun illustrations are inspired by bright colours and all things whimsical.